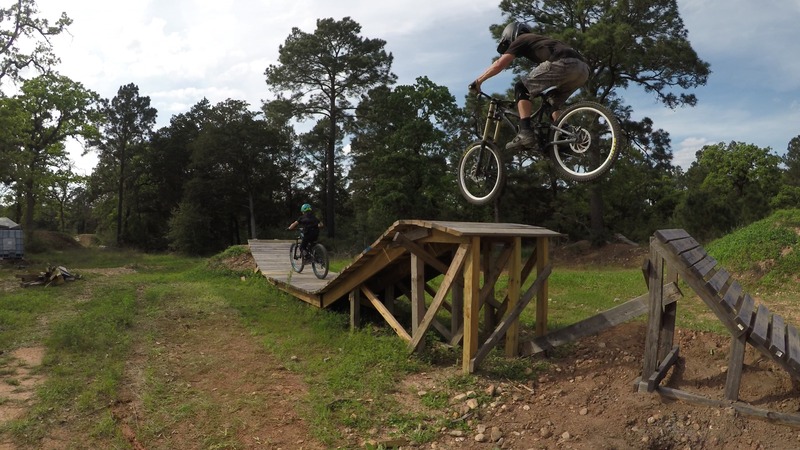 The Best Texas Biking Trails built by the Freeride512 club for the disciplines of all-mountain, downhill, and freeride mountain biking. 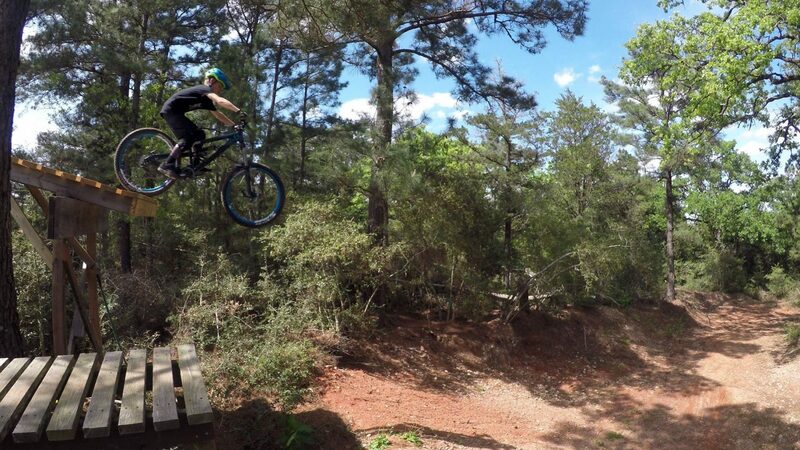 The freeride scene in Texas is alive and well at the Freeride512 bike park at Rocky Hill Ranch, Smithville Texas. If you’re looking for progression, this is the place. This is The Knuckle Drop #5 located in the Drop Zone of the Freeride512 bike park. Built solid like a train trestle, this feature is four feet wide and eleven feet high at its peak. Approach is from the main parking area at the park, where the rider can roll at medium speed to the apex section of the feature. The view is a blind one as the rider passes through the knuckle of the drop. The last segment of this feature is angled down for full commitment from the rider to point and shoot into the drop itself. With the rider already pointing down, the transitioned landing flows well and is forgiving, with a long run out for ample room to stop. More to come with the new line after this zone. This is the Freeride512 Whale Tail Feature at the Freeride512 bike park located on the Slingshot Trail. This is the third feature in a long line of features on this line, all fed by gravity. The rider approaches this feature by dropping in from the Fr512 Rollin Hill, through the first drop, which is equal in height to drop #3 in the Drop Zone, over the first table and into the Whale Tale feature. It’s up to the rider to modulate speed and flow through the Whale Tale which delivers you into the rest of the Slingshot line. This the progressive EZ Rider line at theFreeride512 bike park offering the rider a scaleable experience in being able to transfer from the easy line to the left to a slightly more difficult line to the right. This enables the rider to progress to the larger features gradually. 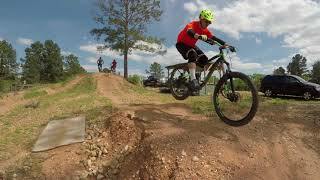 Freeride512 builds and rides progressive mountain bike trails and features in and around Central Texas. 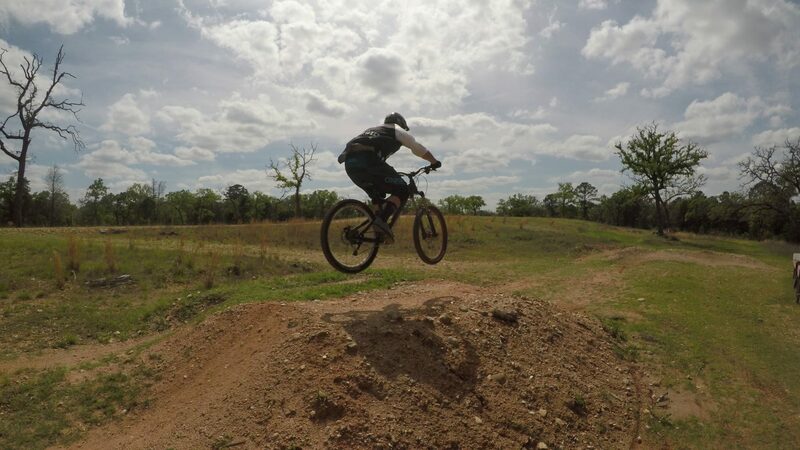 We educate mountain bikers on the disciplines of all-mountain, downhill, and freeride mountain biking and help riders to progress their skills. All you need to know about Freeride512 can be found here.